Now HMV has gone from Princes Street will Avalanche return ? Surprisingly I have been asked this a lot. While I was happy to help out at the Offbeat Gallery before Christmas especially as it meant folk could come in to discuss the History of Scottish Music Centre the centre really now has to be my focus. More importantly HMV was really only a small part of the problem. The HMV owned FOPP is still able to carry stock without any need for payment until sold and while there was a time Avalanche was the only indie selling indie vinyl now everybody is at it so as I’ve said before that particular cake may have got bigger but now everybody wants a piece ! Selling local bands’ music really was our thing and that dropped off dramatically not long after we invested in moving to the Grassmarket which was unfortunate. 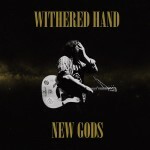 Given the opportunity we could still sell hundreds of a big local artist as happened with the second Withered Hand album but too often you could buy a release earlier, cheaper and with extra stuff directly from the label or band. If selling local bands is simply a bonus then of course you don’t care and take any extra sales you can get. Similarly if it is more of a hobby and not your main source of income then it isn’t so important. For Avalanche it was different. The Pledge model has now taken things one step further and while leaving shops with little or no sales it has also often deprived the artists of an outlet long after the campaign has finished. Many labels now, especially the bigger ones, sell more of an “indies only” release than all the 300+ indie record shops put together. Similarly they are creaming off most of the sales abroad. There really is no point getting into an argument about it now as it has all gone too far down the line to be reversed. Similarly to promote anything an artist does on social media is normally to direct people to a link saying “don’t buy from a shop buy this better thing from us”. Of course the problem for bands starting is that they need the shops help reaching people but there is no reason for the shop to do so now. All in all I hope you can see why I feel better out of it. In the long run things will change. Sales are ridiculously low as streaming now means people feel no need to buy new and local bands music at all. One Scottish artist whose album was released last month had great press coverage and is on an established label with distribution but has registered 4 sales. One LP, one CD and two downloads. Now the particular label doesn’t register its sales so they will have sold some directly but that is an album featured in some end of year best of charts that is available to all the HMVs, Amazon and the 300+ indie shops and sold four. Two oddly not in Scotland ! Believe me this is not that unusual an occurrence. One SAY awards album that was download only and had had a few sales in the past sold NONE the week it was featured. The irony of setting up the History of Scottish Music Centre while saying we shouldn’t wallow in nostalgia is not lost on me but that is exactly what is needed. We need to celebrate the past but look to the future but unfortunately too many people at the moment have a vested interest in pretending all is well.